As the most recent holiday season fades into the past like a melting flake of snow, the spirit of giving sometimes goes with it. Tricia Newman of Loganville, a patient coordinator at Georgia Urology, allows her charitable light to shine throughout the entire year! For the past 10 years, Ms. Newman has been operating Food of Faith, a grassroots group of volunteers that provide meals and supplies to Atlanta’s homeless community. Approximately two to four times per month, Newman and others take to the streets, distributing meals ––most of them prepared by Newman herself–– directly to those in need. Newman’s inspiration came a decade ago when she witnessed a friend’s personal struggle. A mother of two, stuck in a financial limbo between jobs, faced the world-shattering reality of homelessness. This wake-up call, gave Newman the desire to reach out to others in similar situations. Food of Faith began in the confines of her own kitchen, finding Newman firing up her oven and stove top, producing platefuls of nourishment for the hungry. She would then hand-deliver the meals to locations in Atlanta with large homeless populations. Today, Food of Faith continues as a nonprofit. 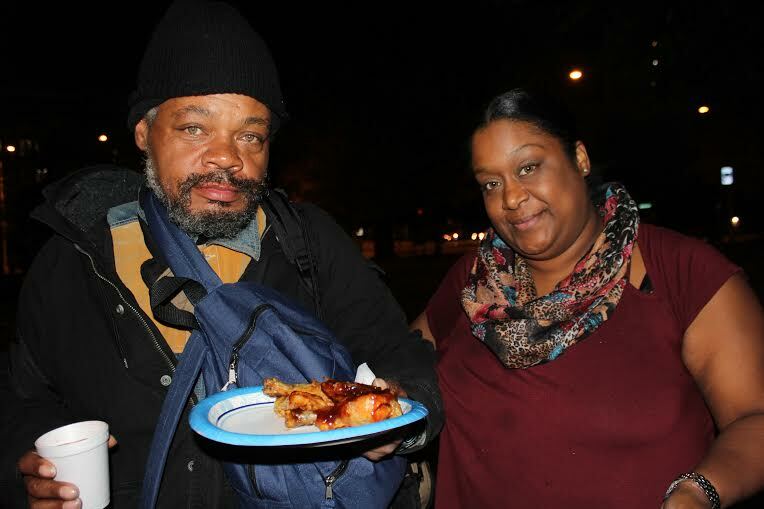 Newman and her fiancé, Antwone Payne, organize the monthly feeds, sometimes funding it themselves. She often partners with restaurants in the downtown Atlanta area whose owners allow her to use their space for food preparation. A typical meal might include baked chicken, mashed potatoes, broccoli, salad, rolls, and dessert. After Newman shared information about Food of Faith with a pair of Georgia Urology couriers ––father-and-son team Russ and Danny Magowan–– approached Georgia Urology CEO Jason Shelnutt. With Shelnutt’s blessing, the Magowans began delivering surplus food from Georgia Urology’s catered events to Food of Faith. “They’re my unsung heroes,” Newman said of her co-workers. According to Newman, Food of Faith usually provides meals to 100-200 individuals per feed. Newman, Payne, and other Food of Faith volunteers typically take the meals to areas surrounding Grady Memorial Hospital, Atlanta Medical Center, and Centennial Olympic Park. 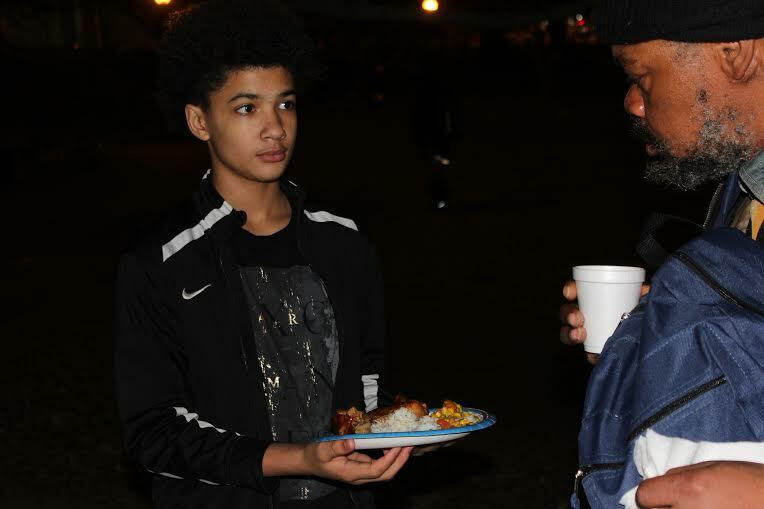 In addition to sharing food, Newman and company share information with those they serve regarding other services and programs assisting Atlanta’s homeless. These include Covenant House, Aniz, Inc., and other programs specializing in everything from addiction and recovery to specific healthcare specialties. 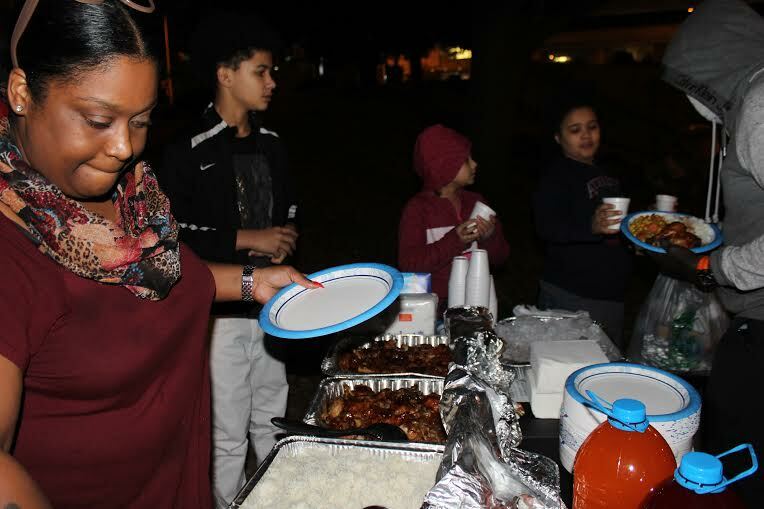 More recently, in mid December, Food of Faith set up feeding stations in both Grant Park and Adair Park for special holiday meals. Newman and her crew created buffet-style spreads on folding tables, and invited homeless guests to dine. More than 120 people walked away with full stomachs. As for the future, Newman hopes to receive an increase in food donations, and dreams of having a permanent location to prepare and to serve meals. She says she would love to partner with organizations and implement a “back-on-your-feet-again” program. This could provide those interested in returning to the workplace with possible opportunities including interviews, resume assistance, temporary housing, clothing, and more. We at Georgia Urology are so proud of Tricia Newman, and proud to be able to help this worthy cause.